Arlene Koziol is the keystone volunteer of May 2018. If you follow Madison Audubon in any way, you've probably seen Arlene's name and ogled over her photographs. 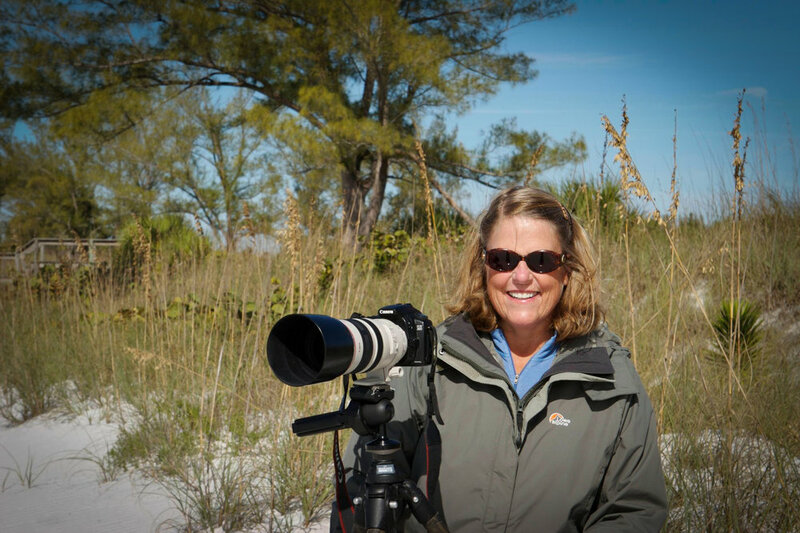 Arlene Koziol is a phenomenal self-taught bird and nature photographer, who generously donates her time, energy, and photographs to Madison Audubon. As you know, birds are beautiful, and access to an incredible library of professional-grade photographs to use in our education and outreach materials is invaluable. "I became involved in MAS April 2011," says Arlene. "My husband Jeff and I were living in Chicago suburbs and were driving around Columbia County looking for birds to photograph. All the ponds were still frozen and there was not a bird in sight. Suddenly, two sandhill cranes flew in calling to a frozen pond at MAS Goose Pond Sanctuary. The sandhills danced and gave their unison call. The light and the background was perfect. The cranes ignored us. We came away with some of our best ever images of sandhill cranes." Many of Arlene's bird photographs were taken at Goose Pond Sanctuary, still one of Arlene's favorite sites, especially since moving to the Madison area. And not just for the birds, but also for the people. "Later I met Mark Martin and Sue-Foote Martin, the co-managers at Goose Pond," remembers Arlene. "They were so kind and included me in all the events at Goose Pond. Mark and Sue always took time out of their busy schedules to teach me." Which worked well for Arlene, as she herself is a natural teacher. Just last week, Arlene taught a group of 10 naturalists the Beginning Bird and Wildlife Action Photography (part of the new Audubon Naturalists Series hosted by Madison Audubon). Her charisma, experience, and openness allowed students to soak up her knowledge about lighting, focus, and preparedness, among other lessons. As a photographer, she's top notch. Her personality is also one of the best out there, and we are so grateful for all she contributes to Madison Audubon! To learn how you can volunteer with Madison Audubon, visit our volunteer page. Some of the most important work organizations do is what the public doesn't see. True to that sentiment is the work of Marge Burke Streitferdt, our Keystone Volunteer this month, who is Madison Audubon's editor extraordinaire. Marge spends uncountable and invaluable hours combing through our quarterly newsletters in search of errors, a talent and hobby that few of us possess and many of us envy. With each newsletter we publish, we count our lucky stars for Marge. "After retiring as customer communications manager for a large midwestern gas and electric utility, I launched my next career as free-lance writer," says Marge. "Part of my paying job was helping fellow employees with their writing and editing. When Madison Audubon was looking for newsletter help several years ago, I volunteered my assistance." Within my first month of working at Madison Audubon, I got to see Marge's prowess first-hand when I sent her a draft of our fall 2016 newsletter. It was a both humbling experience but one I could laugh through. Her red pen caught every typo, indentation error, and grammatical mistake with sniper-like accuracy, but her humor and quirky comments made the exercise both educational and fun. Striking that balance takes rare talent, indeed! "It’s a good outlet for my frequent urges to sneak around town at night with a can of red paint to fix the errors that pop up regularly on billboards and signs (restruant? taco’s? say it isn’t so). I figure volunteering with MAS keeps me out of jail," Marge jokes. To learn how you can volunteer with Madison Audubon (and stay out of jail too), visit our volunteer page. Drew Cashman is a go-getter. While still living in New York state -- not even in Central time zone yet -- Drew submitted a Madison Audubon volunteer interest form saying he wanted to initiate a new citizen science program when he and his family moved to Madison in July. Drew caught the bald eagle "bug" while living outside of Denver, Colorado, where he got his first experience with a bald eagle watch program with the Bird Conservancy of the Rockies. Upon moving to eastern New York, Drew launched a similar bald eagle watching program in that area, which includes the eagle-haven Hudson River. He also helped organize the area's Raptor Fest, coordinated numerous bald eagle talks, and led the Mid-winter Bald Eagle Survey. He said, "My main interest is raptors." Ha! No kidding! Then his wife got a job in Madison, and Drew approached Madison Audubon to work with him on setting up the program here too. We now call it Bald Eagle Nest Watch. MAS connected Drew with the Wisconsin Department of Natural Resources, a major partner in the project, and did some advertising, and Drew ran with the rest of it. He scouted out bald eagle nests, coordinates 50 volunteers, organizes and runs training sessions, creates datasheets, spearheads communications, troubleshoots problems, collates and organizes data, and much more. Madison Audubon just tries to keep up! Drew says the reason he gets his kicks out of volunteering with Madison Audubon is because "I enjoy interacting with all the MAS eagle lovers and helping to protect our local Bald Eagle nesting pairs." Did we also mention he's incredibly humble? In summary, Madison Audubon is honored to work with Drew Cashman, who is critical to the formation and success of a thriving citizen science program, Bald Eagle Nest Watch. Thank you, Drew, for going above and beyond for your love of eagles! We truly appreciate your time, talents, energy, and enthusiasm! To learn how you can volunteer with Madison Audubon, visit our volunteer page. As the seasons change at our sanctuaries, so do our volunteer opportunities! 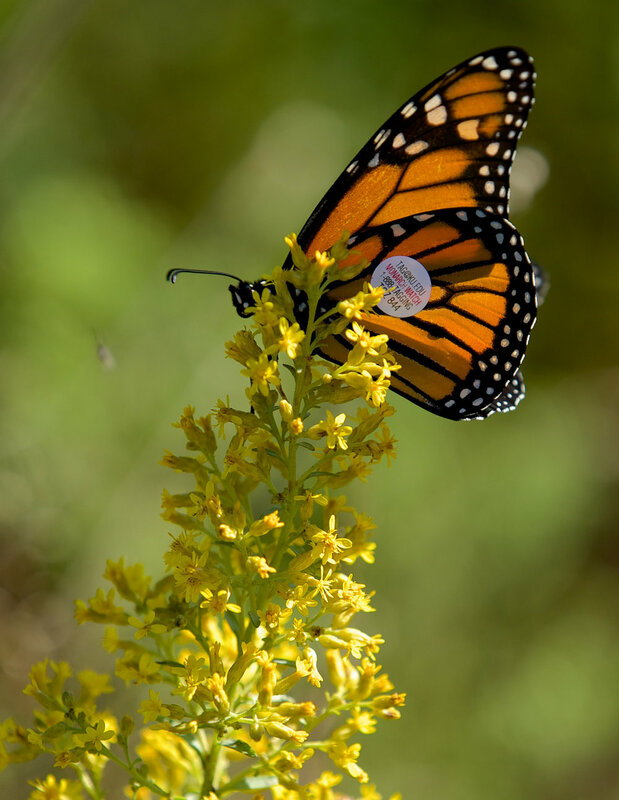 Fall is one of the busiest times at Faville Grove and Goose Pond, as it's an ideal time to collect native prairie plant seeds from the hundreds of acres of restored habitat at each site. We're seeking volunteers all through the autumn season to help with prairie seed collection at both sites. See below for details. Saturdays, two shifts: 9:30 a.m. - 12 noon, and 1:30-4 p.m. The seed our volunteers help to collect is used in future prairie restorations both in our own Sanctuaries and across our service area. The local-genotype seed we collect on site helps preserve genetic characteristics that thrive in our specific climate. Plus, it's incredible to see the full-circle restoration process: plant a prairie, collect seeds, and plant a new prairie! You don't need any experience to help us collect prairie seed! It is a great learning experience, a fantastic time of year to be outside, and its a fun way to connect with others in our community. If you have any questions about helping us collect prairie seed, email our Sanctuary land stewards! See you in the prairie!